If, like me, you happened to be fast asleep as the first day of Spring beckoned, you probably missed Friday morning's solar eclipse, too, one of the most remarkable ones of the 21st century. But in the event that the photos and videos of the solar eclipse on Instagram — from your friends who live in different time zones, are astronomy aficionados or just fine with being sleep deprived — do not suffice, the good people at BBC have provided the world with a stunning video of the solar eclipse from Faroe Islands as the moon shrouded the sun for a wondrous few minutes. Although Faroe Islands — the only other place where a full eclipse was visible from land, besides Norway's Svalbard island — was flocked by tourists eager to witness the minutes-long event, many came away dissatisfied as cloudy conditions largely obscured the solar eclipse. But BBC's video, filmed from above said clouds, is a sight to behold — even on your computer screen. There it is, the diamond ring — and we have reached totality. We have reached the most incredible moment in a total solar eclipse. ... This is extraordinary. 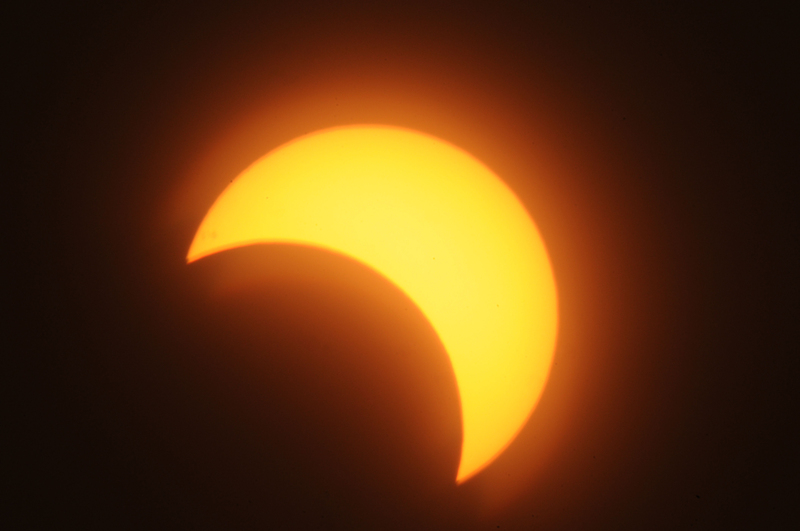 Though only a few thousand people were fortunate enough to witness the event as it was happening, the Twittersphere was rife with talk about the solar eclipse, with #eclipse2015 trending for hours — though the hastag #anticlimax also saw a corresponding spike in tweets, no thanks to those darn clouds, I'm sure.